DUG Insight User ManualFrequently Asked QuestionsFrequently Asked Questions WellsHow to export map values at specific IL/CL locations? 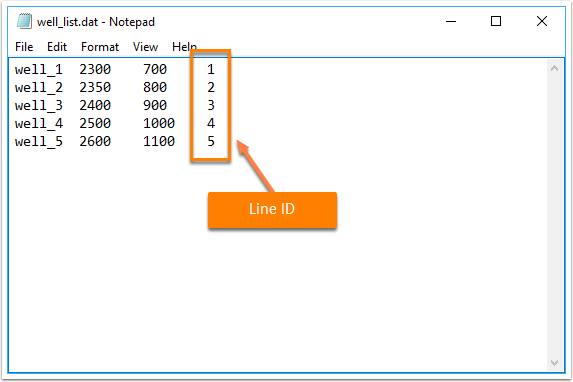 Open a text editor and create a column of line ID besides the well inline/xline locations. Save this file as a .dat file. 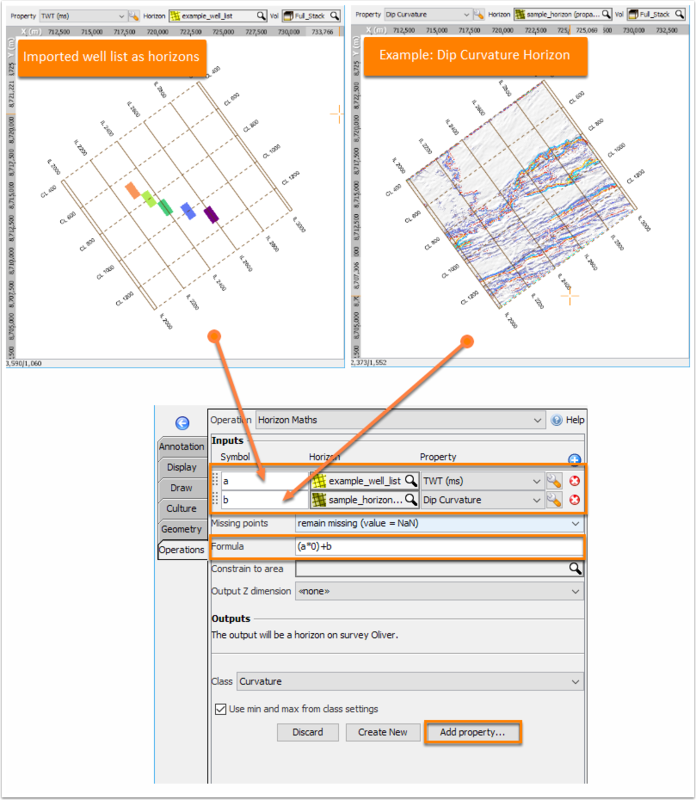 Open Insight and import them as horizons (see Using the Horizon Text Importer). 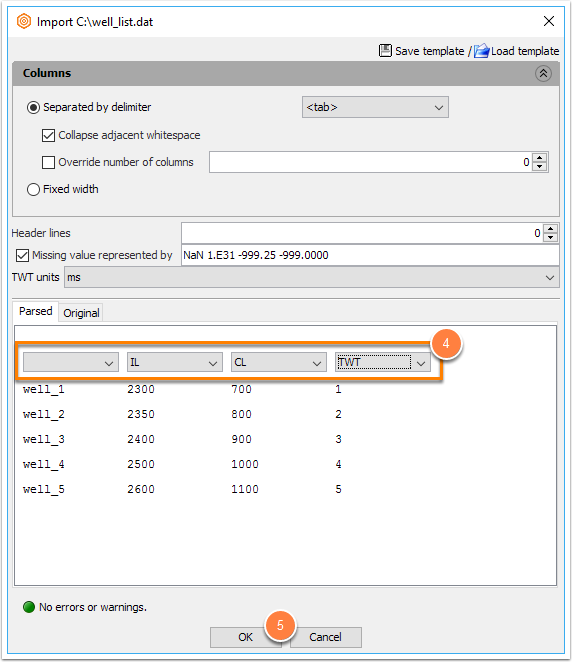 Set the IL, CL and TWT values in their respective columns. Click OK to continue importing. Go to the Operations tab and select Horizon Maths operation. In the formula field, use: ( a * 0 ) + b.
Click the Add property button and type a property name. 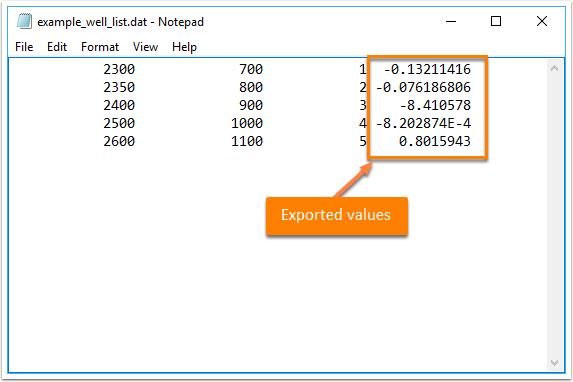 Right click on the imported horizon and select Export "horizon_name" (see Exporting Horizon). 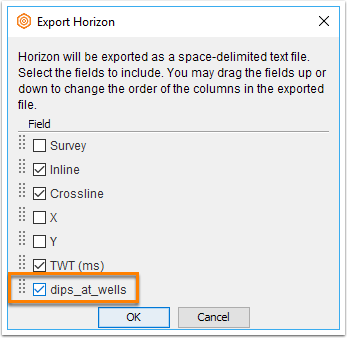 Select Export customised text file and click OK.
Click the checkbox of the newly added properties from the previous horizon maths result and click OK. Type the name of the file and click Save. The saved file will contain the property values of the wells. Prev: Where does Single Well View extract 2D value from?